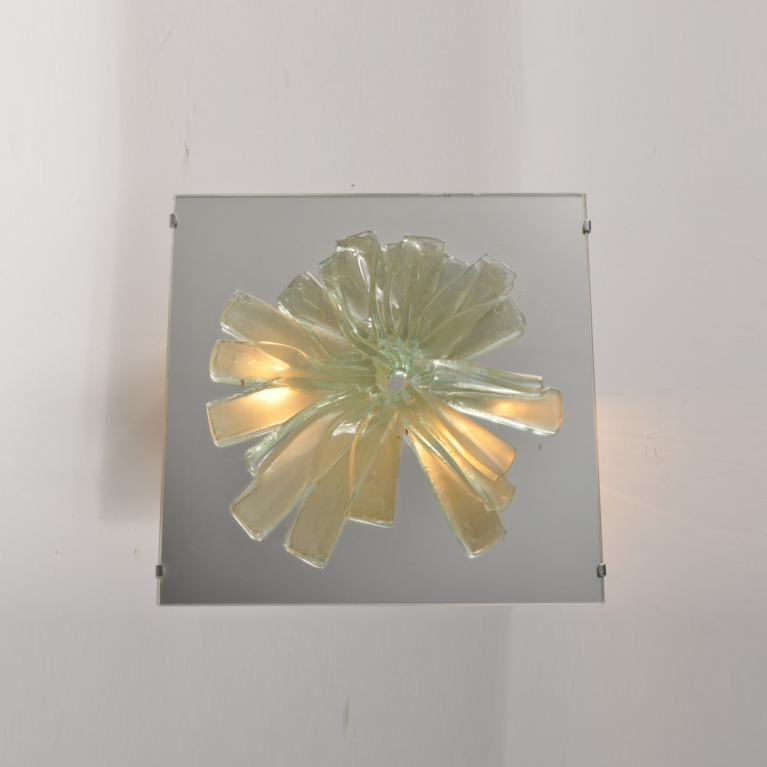 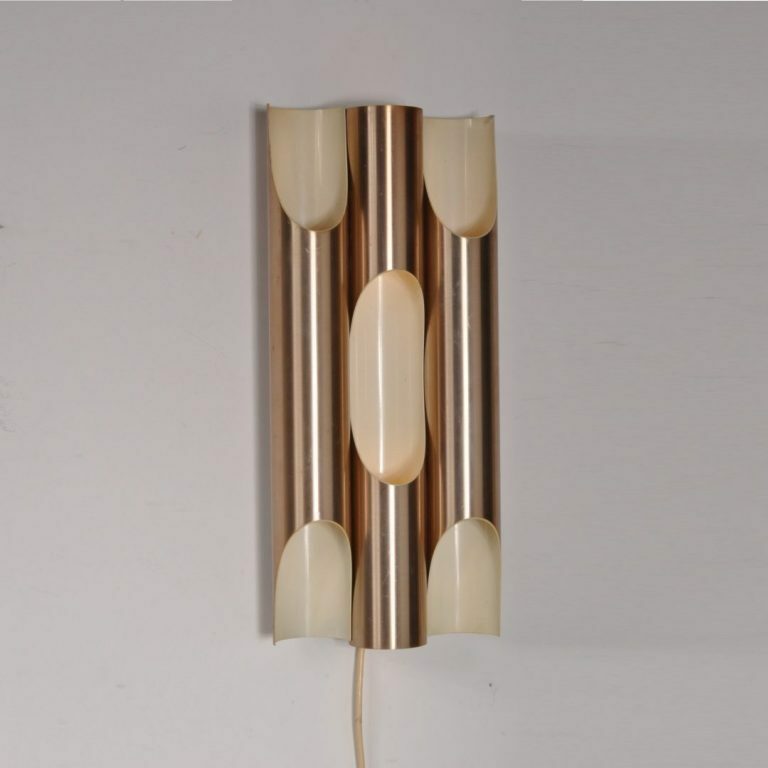 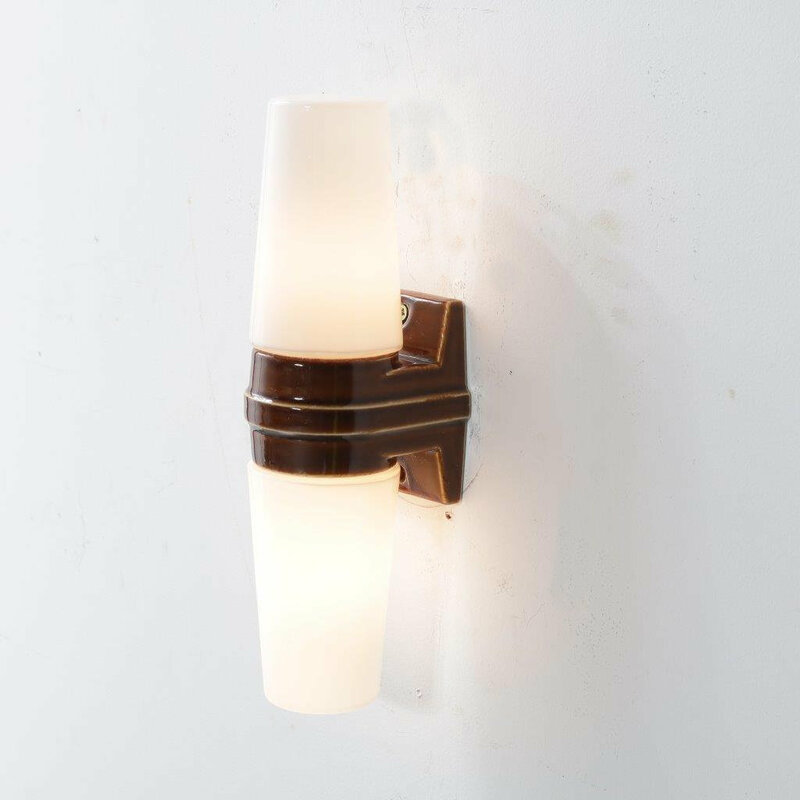 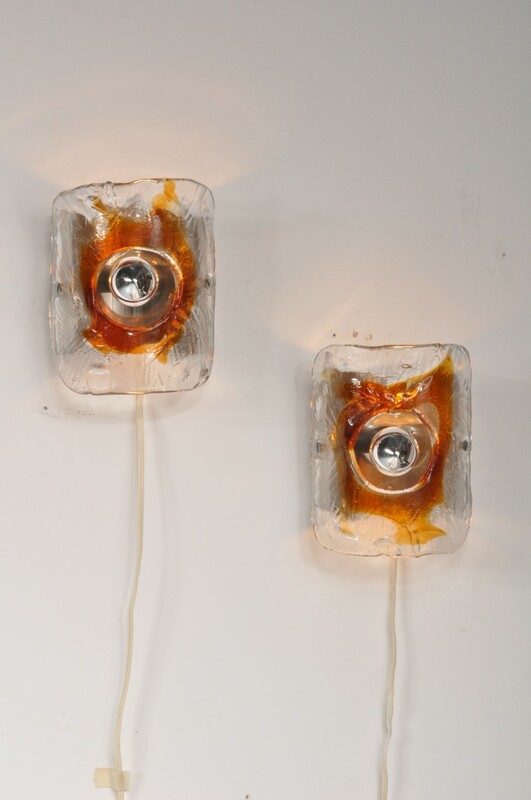 A lovely set of two Italian glass wall sconces. 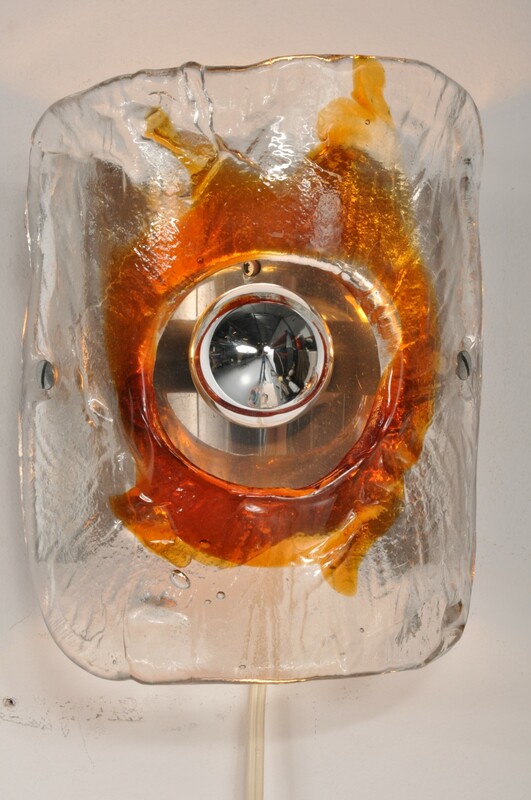 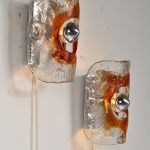 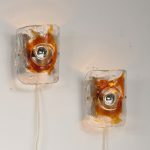 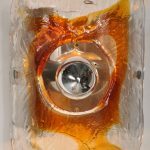 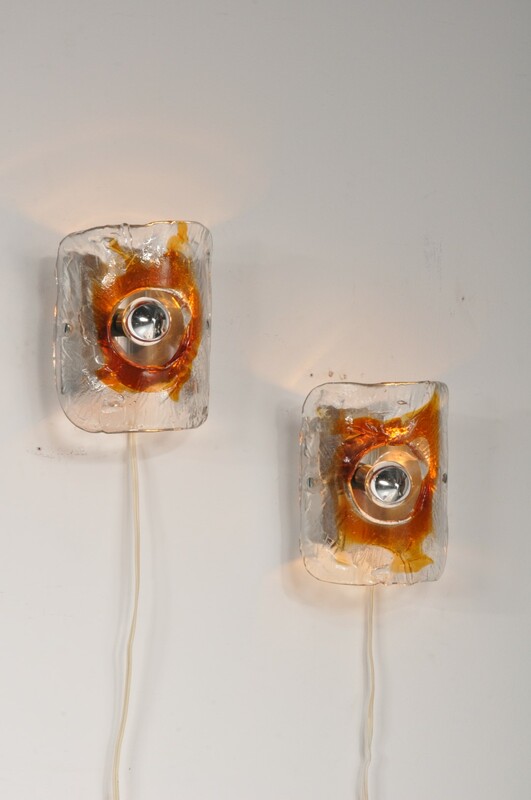 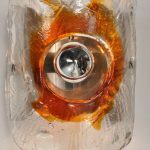 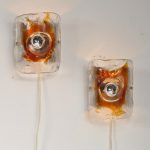 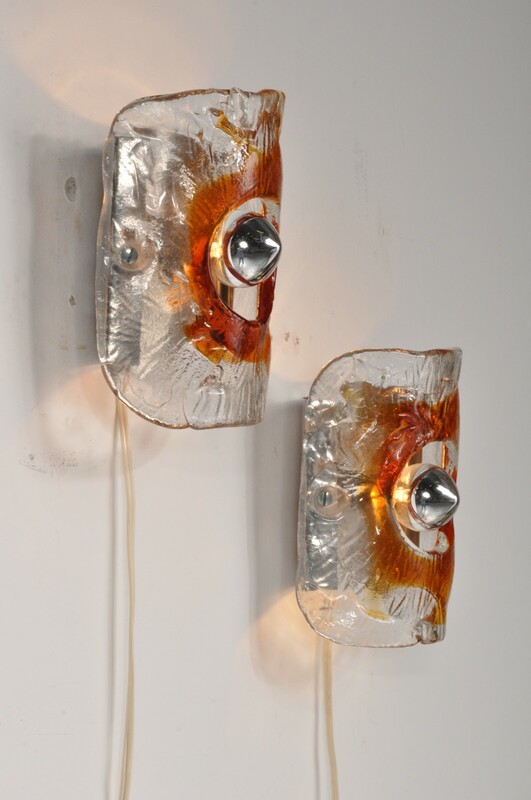 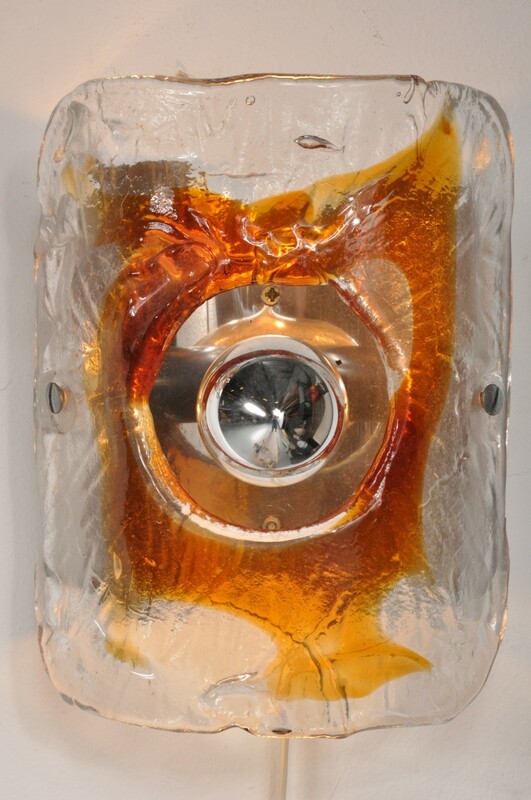 These very appealing little lights are made of high quality clear and orange glass, held by chrome metal bases. They are already very sculptural and get especially beautiful when lit. 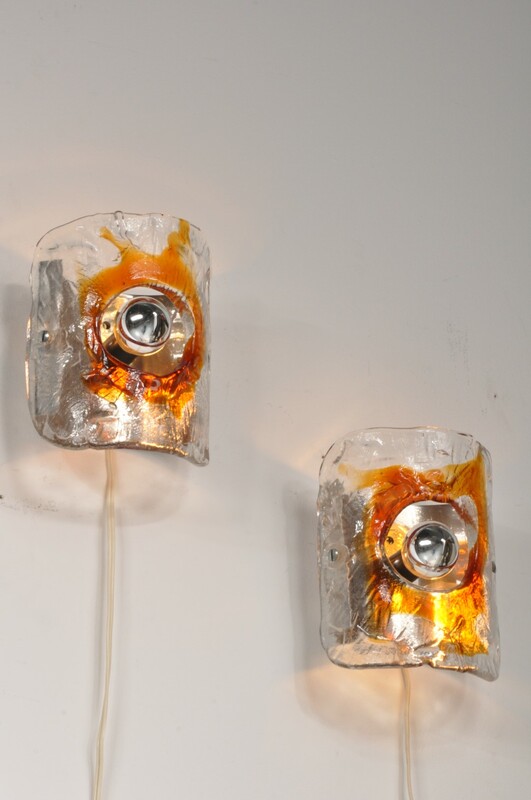 They emit a warm, subtle light. 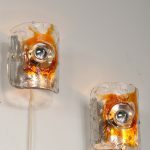 This set would make a wonderful eye-catcher in the interior!